Youth Outlook hosts or participates in events and fundraisers throughout the year. Whether it is a major large-scale event such as our golf outing, or a third party fundraiser such as the bowling event, there is sure to be something for you! Your participation in these events is critical to our organization and is a significant source of revenue. There are a variety of options for individuals or groups including sponsorship, advertising, participation, or in-kind donations. Contact us today for more information and to learn how you can participate in an event or create one that benefits Youth Outlook. The DuPage Human Race® is a unique opportunity to make a difference by running or walking in support of Youth Outlook. Over 60 local non-profit organizations participate in one umbrella event. Enjoy a course of paved roads at the scenic corporate campus of Esplanade, Locust Point in Downers Grove. There are two separate courses – 5K route for runners and 2-mile route for walkers. Runners are timed in the 5K course, and the course is USATF sanctioned. Kids (age 13 & under), pets, strollers, and wheelchairs are allowed on the Fitness Walk route; pets must be leashed. For more information on the event visit https://www.dupagehumanrace.org or https://www.facebook.com/Giving-DuPage-203968452949789. No Boundaries Ride – revving up for their future! Join Organized Chaos and Youth Outlook for a motorcycle charity ride on Sunday, May 19. Enjoy a 100+ mile ride thru the open roads and scenic farmlands of Kane and Kendall counties. Proceeds from the event will help fund the programs and services offered by Youth Outlook which support LGBTQ+ youth, families, and the community. Cost to participate is $25 per rider and $15 for a passenger and includes the ride and after party. The first 50 riders to register online receive a commemorative event pin. Don’t ride, no problem…join us for the after party for $20 per person. The after party includes a buffet selection of food, non-alcoholic drinks, full service cash bar, raffles, live music, and more. All clubs and bikes are welcome to ride! For more information on the event visit http://bit.ly/2VkYrOOmotorcyclecharityride051919. Bowl for Their Future is a fun-filled evening of bowling, music, and games, hosted by the 9 To 12 Bowling League with proceeds to benefit Youth Outlook. The 9 to 12 Bowling League – Rainbowlers was started in 1979 and is the longest running LGBTQ suburban bowling league in the Chicagoland area. All skill levels are welcome to join us on Saturday, March 30th at River Rand Bowl in Des Plaines for a night of raffles, door prizes, games, and 80s music provided by DJ Jim. This is a family-friendly event, individuals and teams are welcome. For more information on the event visit https://bftf.brownpapertickets.com or https://www.facebook.com/9to12Bowling. Advance registration is required. 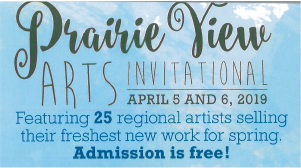 Join Prairie View Fine Arts and the DuPage Universalist Unitarian Church for a one of a kind event, the Prairie View Arts Invitational. The show includes a champagne reception from 6-9 p.m. Friday evening and continues from 10-4 on Saturday. Enjoy the skills of fun and eclectic local and regional artists with an eye toward sustainable and one of a kind work. Twenty-five hand-picked artists, live music, a raffle to support Youth Outlook, and a soup lunch on Saturday are part of the weekend. For more information on the event visit http://www.PrairieViewArts.com or www.facebook.com/Prairieviewarts. Community Celebration & Fundraiser for LGBTQ+ Youth and Allies Join Youth Outlook for their Community Table on Friday, April 12th in Naperville. Fundraising events such as the Community Table allow their organization to raise funds to support lifesaving programs and services while also celebrating individuals and community organizations that support LGBTQ+ youth every day. Youth Outlook staff, volunteers, board members, individuals, and allies will gather in a celebration of love, family, friendship, and community. Youth and families are welcome. Advance ticket purchase required, $35.00 adults/$25.00 youth. For more information on the event visit http://bit.ly/2HIFUbacommunitytable041219. .